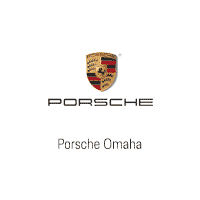 The team at Porsche Omaha would like to welcome you to our dealership in Omaha, where we’re confident you’ll find the vehicles you’re looking for at a price you can afford. Come and check out our full selection of new Porsche vehicles, or get all the information you need on a reliable pre-owned model. No matter which vehicle you decide on, our professional finance team will help you get settled with a competitive financing or lease plan. When you’re looking for quality auto maintenance and repairs near Omaha, you can always count on the professional technicians in our Porsche service department as well, where we handle everything from oil changes and filter replacements to powertrain and drivetrain repairs. Schedule an appointment today, or purchase parts from us to handle maintenance and repairs on your own! Lots of folks in Omaha count on the high-quality vehicles and services found at Porsche Omaha, and we look forward to living up to our reputation every day. Stop in and see us today, or contact our staff with any questions! Jason Bien in the service department is the best! I previously living in Omaha and took my Cayenne into this dealership multiple times I year. Jason from the service department was always extremely friendly, helpful and explained things in terms I understood. I never felt like I was being taken advantage of and always trusted his opinion when he said I needed to fix something on my car. Fast forward to a few months later and I now live in Nashville, TN. I needed to take my car in to get serviced but didn't trust the department at my new Porsche dealership. I called Jason to see if he would review the fixes the new dealership was telling me I needed and he was more than willing to help. He went out of his way to call the Nashville dealership and speak with the service department there to make sure everything they were telling me made sense. He then called me back and explained it all. I felt 100% better after speaking with Jason and really, really appreciated him doing that for me. If you need your Porsche serviced I would take it to him - he is the best! Thank you, Jason!